The Maldivian government has agreed to release the 25 Sri Lankan fisherman who were detained by the Maldives for the violation of the Maldivian maritime boundary, says Sri Lanka. 'News First' newspaper of the neighboring island nation reported that the fishermen will be released by the Sinhala and Tamil New Year. Assistant Director of the Fisheries Department, Padmapriya Tissera said the finances needed to make necessary arrangements to send the Sri Lankan nationals back to their country has already been sent to Maldivian authorities through the Sri Lankan Foreign Ministry. 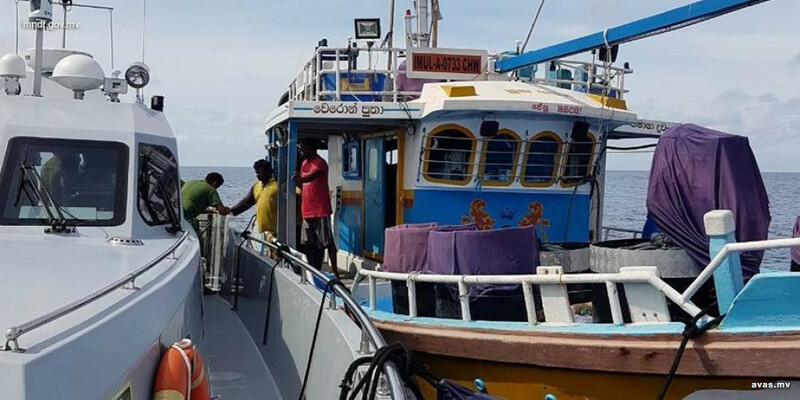 Just recently, Maldivian authorities caught several vessels that were illegally fishing in Maldivian waters, detaining four Sri Lankan fishermen under Maldivian custody. Vessels trespassing on the Maldivian waters are caught by the authorities from time to time.